It is important to keep your vehicle’s cooling system in tip-top shape. 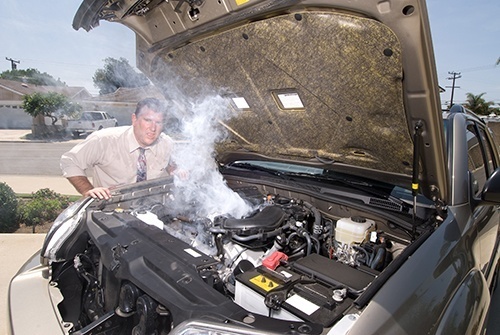 If you are uncomfortable maintaining the cooling system yourself, the team at Jack’s Auto Service can help. Since 1987, we have been providing superior cooling system repair and service to car owners throughout the Grand Rapids region. The coolant system, as the name entails, is responsible for keeping your engine cool. As you can imagine, it is crucial for the overall operation of our vehicle. If your car is in need of cooling system repair or an inspection, we invite you to visit our Grand Rapids auto repair facility. Our ASE certified technicians are experienced, efficient, and dependable. You can count on us to solve the problem quickly and correctly. Most of our repairs are performed on the same day. We also offer complimentary shuttle service where we can drop you off or pick you up at the place of your choosing. At Jack’s Auto Service, we literally go the extra mile for our clients. If your personal automobile or fleet is in need of coolant system maintenance or repair, we invite you to Jack’s Auto Service. Located in Grand Rapids, you can trust our friendly and experienced staff to get your car, truck, minivan or SUV driving its best!